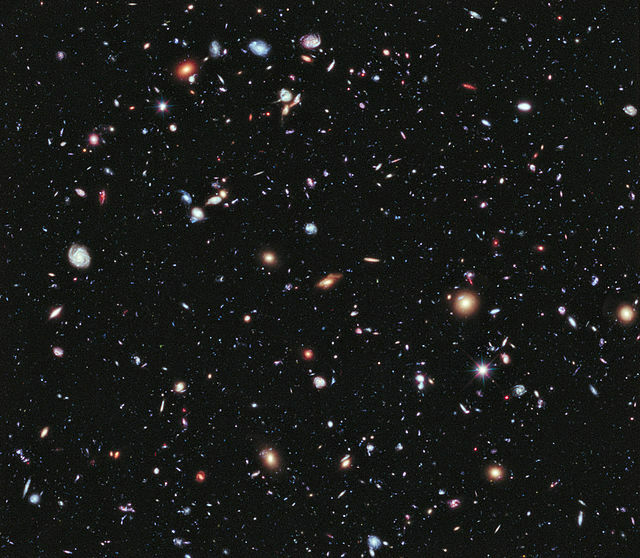 A team of astronomers who jubilantly announced last year that they had found proof of the Big Bang have now retracted their statements, admitting that their evidence was faulty. In March of last year, astronomers using the BICEP2 telescope at the South Pole announced the discovery of “primordial gravitational waves” from the universe’s beginning. Proponents of the secular model of origins eagerly touted the discovery as “smoking gun” evidence for the universe’s rapid inflation during the Big Bang. “To me, this looks really, really solid,” added cosmologist Marc Kamionkowski. One well-known media outlet even predicted that the discovery would “almost certainly” earn a Nobel Prize. However, less than a year after the triumphant announcement, astronomers have retracted their claims and admitted that the findings were not proof of the Big Bang after all. In a recent statement, the European Space Agency conceded that the astronomers’ conclusions were incorrect. “Unfortunately, we have not been able to confirm that the signal is an imprint of cosmic inflation,” researcher Jean-Loup Puget said in the statement. 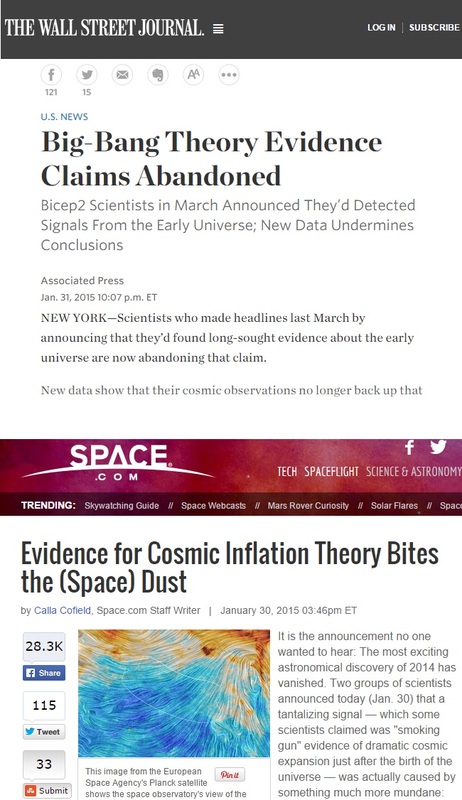 Evidently, the BICEP2 telescope merely detected ordinary interstellar dust in space—not primordial gravitation waves. “No experiment can rule out a theory that allows for all possible outcomes,” he wrote in an article for Nature. “Hence, the paradigm of inflation is unfalsifiable. … [T]here exists a spectrum of other models which produce all manner of diverse cosmological outcomes. Taking this into account, it is clear that the inflationary paradigm is fundamentally untestable, and hence scientifically meaningless. “Creation remains the best scientific explanation for the reality in which we live, and science continues to point to our Creator,” he concluded.